Keeping a proper cleaning routine and exfoliating regularly will remove excess oil and dead skin cells to reduce the size of your pores. For both aesthetics and self-esteem, you may want to reduce your pore size. This is not a health problem per se, but it can indicate hormonal imbalances or problems with oil production in your skin. The issues often originate in the “T” zone of the face, around the forehead, nose, and chin. However, they may also be noticeable around the cheeks and other areas of the face. The main consequences are acne and blackheads. In addition, because there’s an excess production of oil associated with open pores, your skin starts to look oily or dirty. Fortunately, there are several ways you can minimize the appearance of your pores to give your skin a fresh, new look. The first way to reduce your pore size is to adopt a daily cleaning routine using the right products for you. 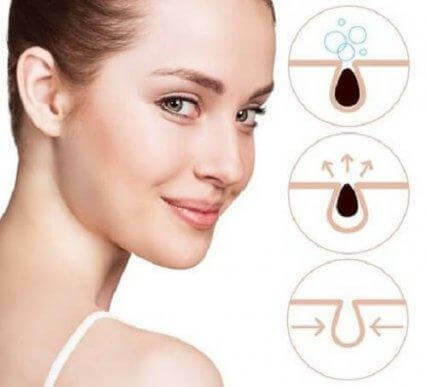 The skin of your face is much more delicate than other parts of the body and requires a treatment regimen that won’t alter its pH. To prevent this problem, be sure you choose your soaps and lotions according to your own complexion. The regular use of exfoliating products is one of the best ways to fight excess oil production by pores. The astringent and cleansing properties of these products are ideal for removing toxins and blackheads. 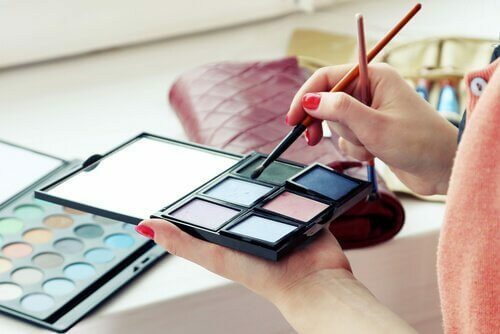 While you can use the brands that are sold in pharmacies and cosmetic stores, it’s also nice to use natural products. What’s important is that you only use these products twice a week to avoid damaging your skin. Daily application of a facial toner has become one of the best ways to reduce pore size and fight blemishes. This treatment removes any excess oil from the skin and regulates your pH. Because it has firming and anti-inflammatory properties, a good toner is also ideal to avoid sagging skin and premature wrinkles. The nutrients will help your cells heal and regenerate. Ice therapy is a great way to reduce pore size without spending money on expensive treatments. The cold temperature helps contract your pores and fight loose skin or wrinkles. In fact, the effects have been compared to traditional toners, which also reduce oil product. Ice should be used with care, however, and always wrapped in a cloth to avoid damaging your skin. One of the main reasons certain facial treatments often fail is because the person doesn’t have good dietary habits. If the goal is to reduce pore size and improve the appearance of your skin, you’ll have to make some modifications to your diet. You should limit your consumption of sugar, saturated fat, and simple carbohydrates. Meanwhile, try eating more lean meat, whole grains, and fresh fruits and vegetables. Dehydrated skin takes on a dry and opaque appearance, and actually worsens an oily complexion with enlarged pores. Drinking more water will help you regulate your oil production and eliminate dead cells. Honey has certain cosmetic applications that are worth taking advantage of. Thanks to the content of enzymes and antioxidants, honey is one of the best natural products to preserve a youthful and blemish-free face. In this case, it can remove dead skin cells and reduce pore size to avoid the formation of blackheads. Honey is also helpful in reducing damage caused by the sun’s rays because it supports cellular regeneration and relieves burns. 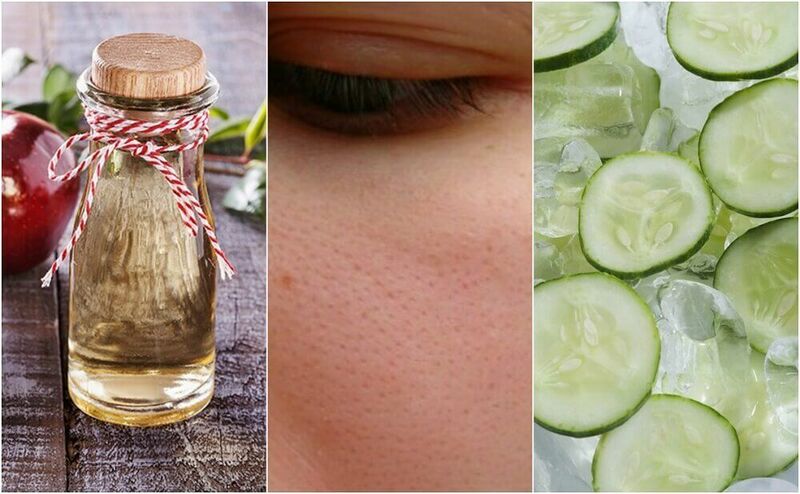 Homemade facial masks are excellent ways to remove excess oil and close pores. However, you should choose the right ones for you because those that contain oily compounds may be counterproductive. If you’re worried about open pores, pimples, or acne, it’s best to choose masks made with astringent and cleansing ingredients. Are you still trying to reduce your pore size? Write down the tips we’ve shared here. As you can see, they’re easy to put into practice and will have a positive impact on your condition. If you want smoother and healthier skin, start practicing them today.